Welcome to Lennar’s Spire Model. 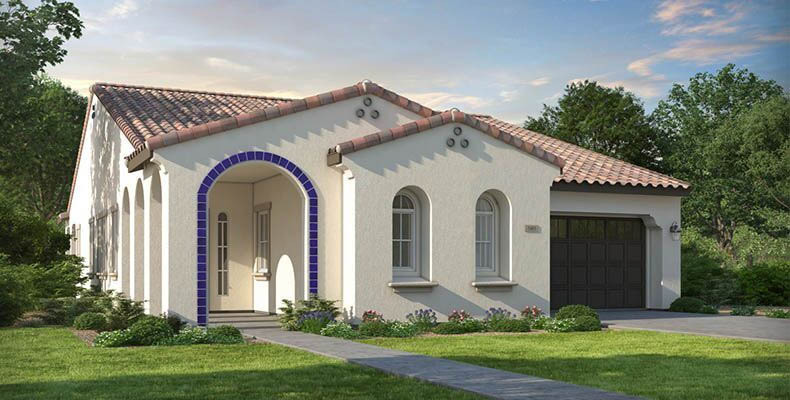 This beautiful one story home includes 2 bedrooms, 2 bathrooms and 2-bay garage with a separate golf cart garage. As you walk into the Spire you are greeted by a Foyer followed by a large den, great room and open kitchen area. The kitchen includes all the extravagant features that you have come to expect from Lennar. You will also enjoy the back yard covered patio that interacts perfectly with the great room and dining area. The master suite includes a private master bath with a large shower, twin sinks, as well as a walk-in closet with access to the laundry area. The rest of the home includes a large bedroom, a spacious den and a second bath. As one of Lennar’s Everything’s Included Homes, the Spire also includes all of the energy efficient and designer features that you have come to expect from Lennar.